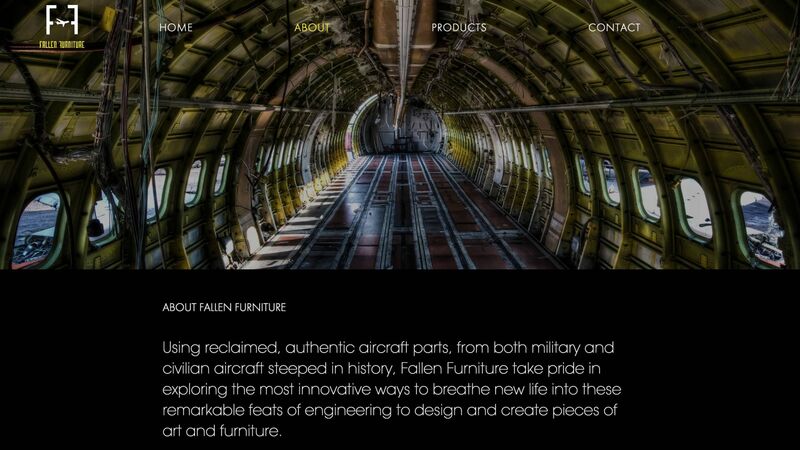 We created the Fallen Furniture website, and it was an absolute privilege to work on. 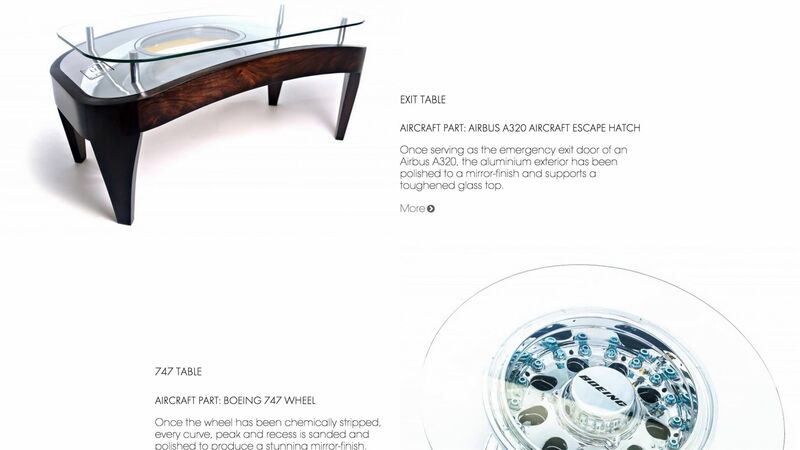 Fallen Furniture create beautiful pieces of furniture from reclaimed aircraft parts – upcycled meets luxury. 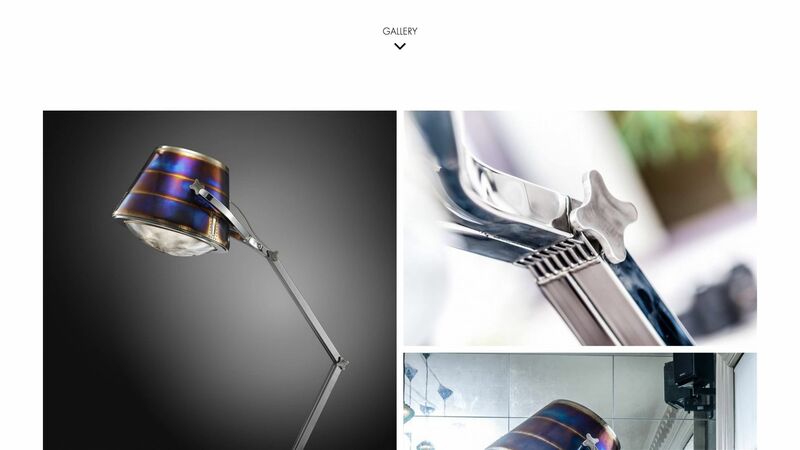 The website needed to sing ‘luxury’, and since their products have all been photographed so beautifully we decided to make the images on the site as big as we could… The site displays images in a variety of contexts from full width ‘widescreen’ images to ‘masonry layout’ galleries, live Instagram feeds and some beautiful home page parallax scrolling images. 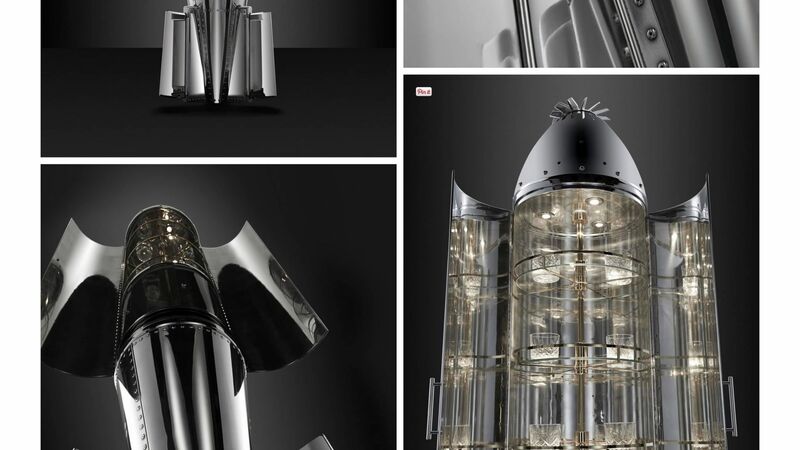 The overall goal was to show the visitor how striking their products are, and we did that. 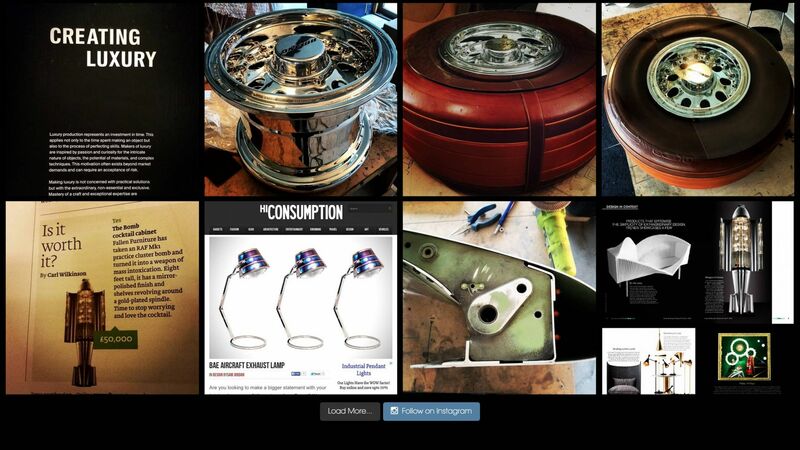 The site allows for sharing of content via social media, including direct pinning to Pinterest. 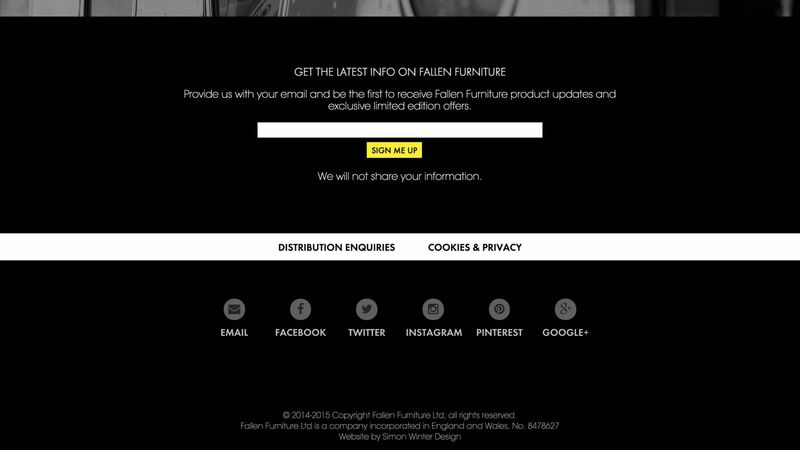 We incorporated a smart signup form that integrates with MailChimp, allowing visitors to sign up to the Fallen Furniture mailing list. 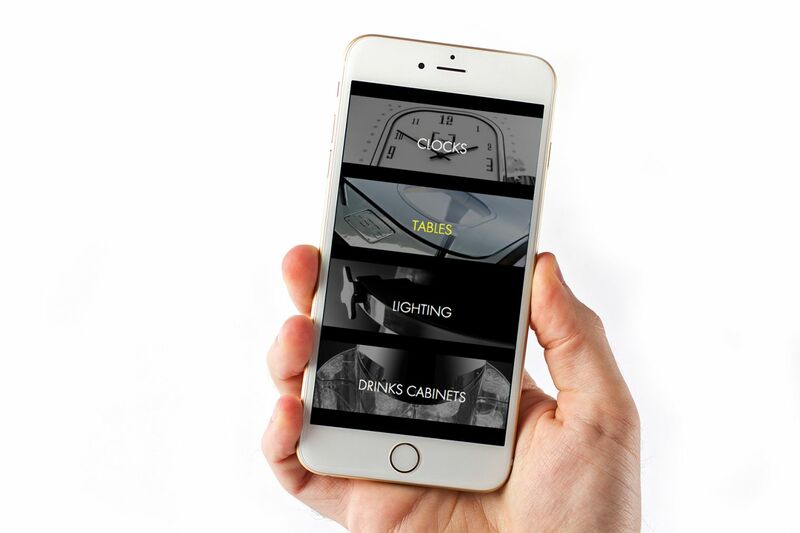 The live Instagram feed on the home page allows visitors to see what’s going on in the workshop without the client having to spend any time updating the website. 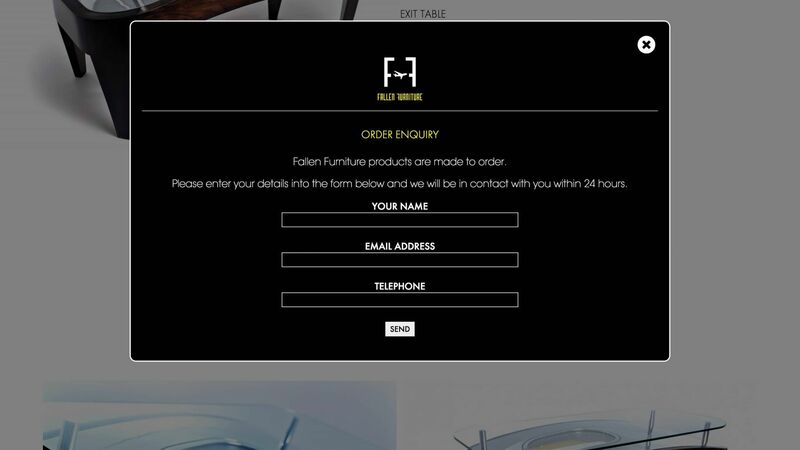 This website actually behaves in the same way to an e-commerce website (online shop) but with the facility to take payments removed; the nature of Fallen Furniture’s products mean people can’t order things off the shelf, rather each product detail page has an ‘enquire’ button, shown below. 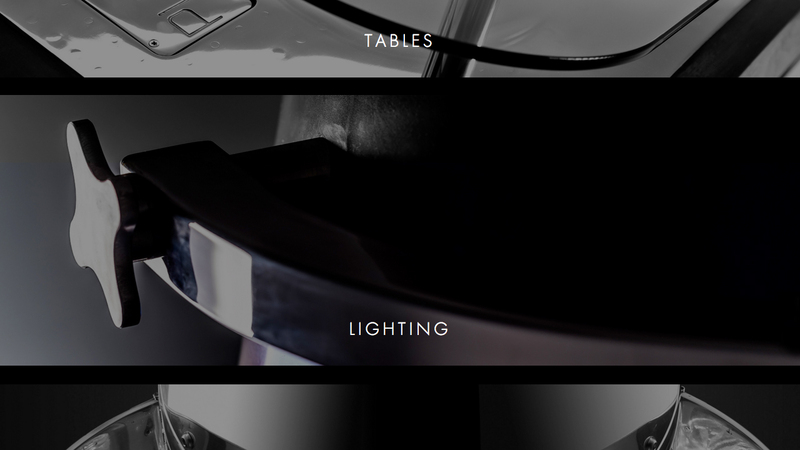 When the visitor clicks the ‘Enquire’ button, the form shown below pops up; all they have to do is fill in their details and click ‘Send’. 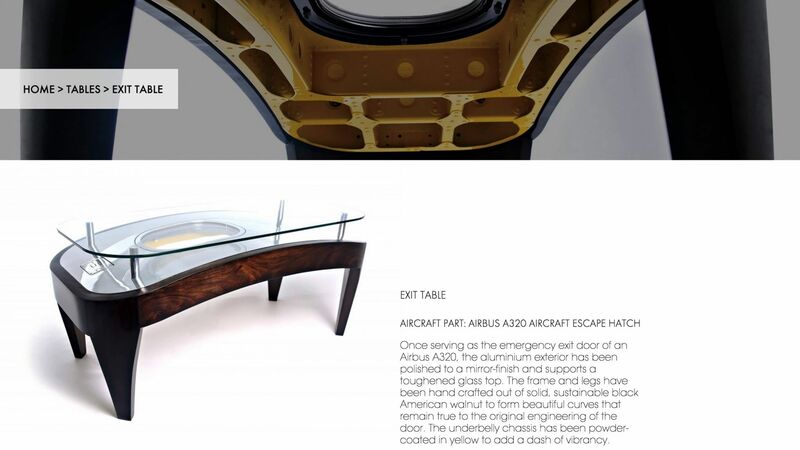 Fallen will then get back to them using the contact details provided. 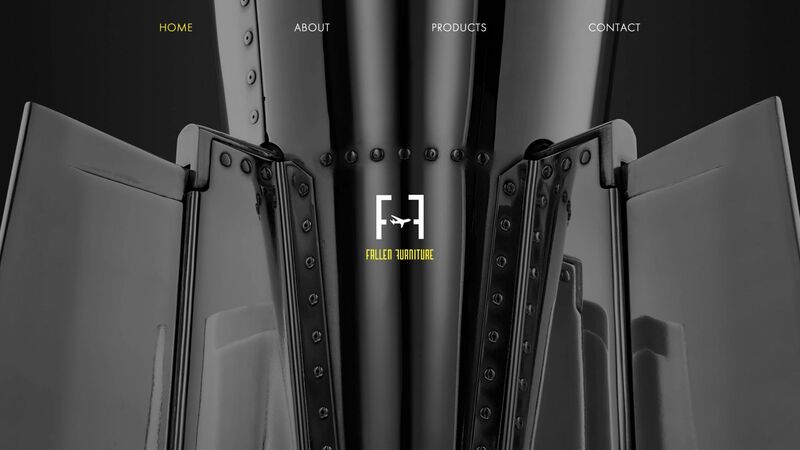 Contact us to discuss your web project.